Is it possible, and I am, of course, asking for a friend, to have too much Toy Story 4 promotional material featured on your a blog? The correct answer, I think you’ll find, is no, and frankly the more Woody, Buzz and now Forky you have, the better the blog will be. Especially when a new UK trailer for one of the most eagerly-anticipated animated featured films of the year, nay decade, nay century – there may be a tad too much hyperbole at work here but you’d never know would you? 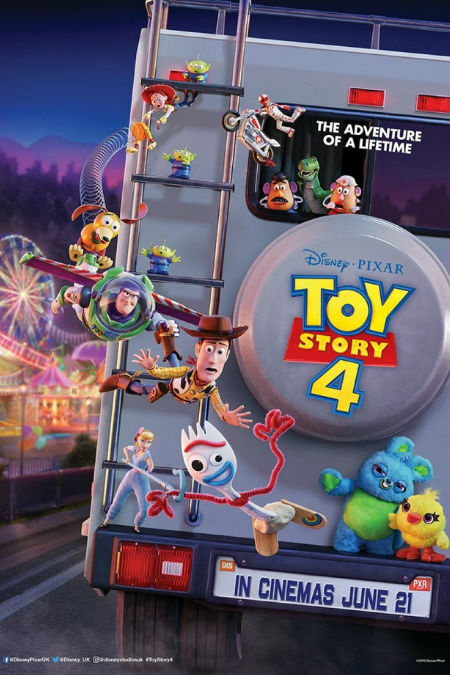 – features new footage and comes with a fun, new poster, which shows everyone rallying together to convince Forky that being a toy is the greatest gift ever. Sure, being a spork is kind of retro-70s cool but a toy? What a delight and a joy, a role that, Woody assures Forky, comes with a neverending mission to keep the kids who love them happy. It’s a beautiful message, it’s fun and it’s coming our way 20 June in Australia and 21 June in UK and USA.